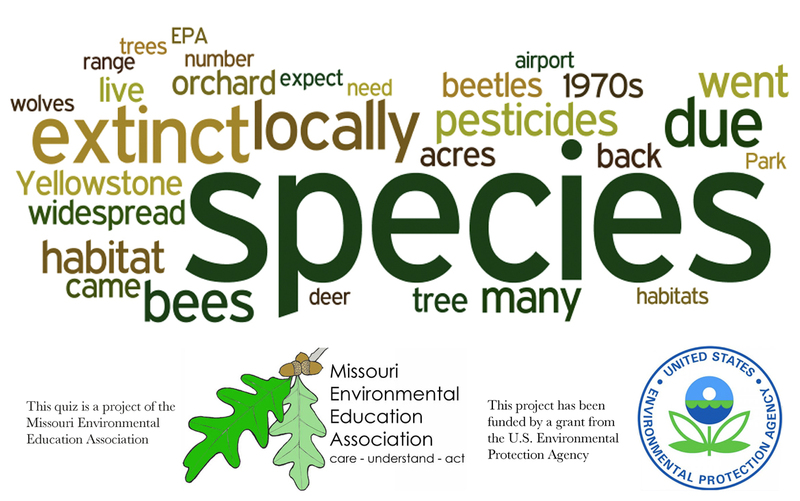 These quiz questions cover basic definitions for terms concerned with species and ecosystems, examples of species that were locally extinct but which have recovered to some extent, how loss of one species can affect other species, careers in conserving wildlife, a few multiplication problems related to species, and careers in conservation. The program randomly selects 10 questions per quiz from about 30 questions. Quizzes can be taken multiple times.